Mighty oak trees are a symbol of strength and resilience, thanks to their longevity and immense size. Some of the oldest of these trees are nearly a thousand years old. They have stood watch as empires rose and fall. But they also mark the passage of time on a smaller scale. Many who grow up near a favorite oak see it as an enduring presence in their lives—a magnificent constant in their changing lives. Artist Mark Frith grew up near ones of these oaks and developed a closeness to one local character—the Great Oak at Nibley Green. It was this oak that inspired Frith to put graphite to paper and begin a remarkable series of large-scale oak drawings. Now, twenty-two of his works are collected here for the first time in A Legacy of Ancient Oaks. Each drawing shows an English oak in its entirety, with exceptional detail conveyed in these intricate graphite works. The ancient features of these trees come to life in these pages. Each oak is shown in full along with detailed close-ups of the drawings. A directory details where to find each tree, so that readers can experience these majestic individuals themselves. 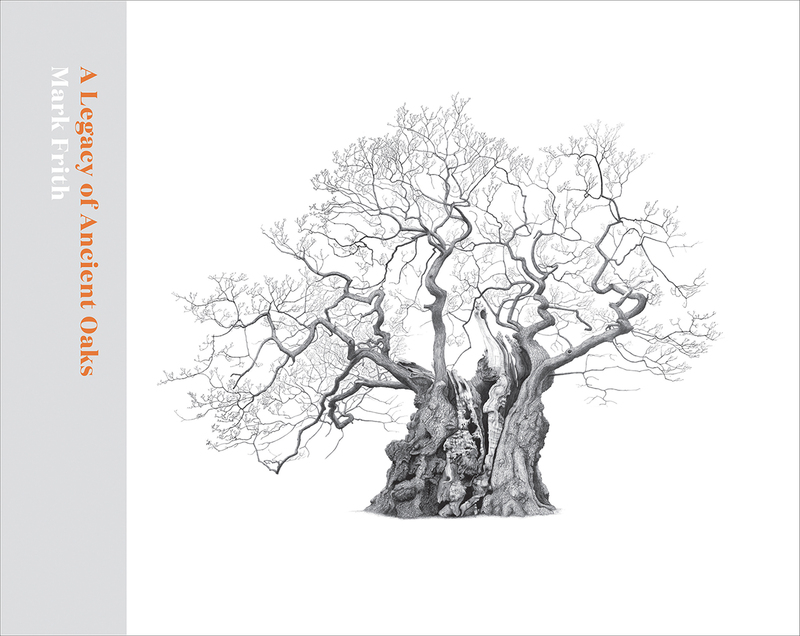 This stunning book is the ideal gift for art and tree lovers alike, and a fitting dedication to these ancient individuals.